Long gone are the days when a future bride could only choose from a handful of colors for her wedding suite invitations, save the dates, and bridal shower invitations. Today you have unlimited color options that help you integrate your wedding colors into your wedding stationery design and style. The only thing to consider when creating your wedding invitation is readability as some color combos make it difficult for the text to be read. You should also be extra cautious about readability if you’ve set you heart on a font that is too hard to read. 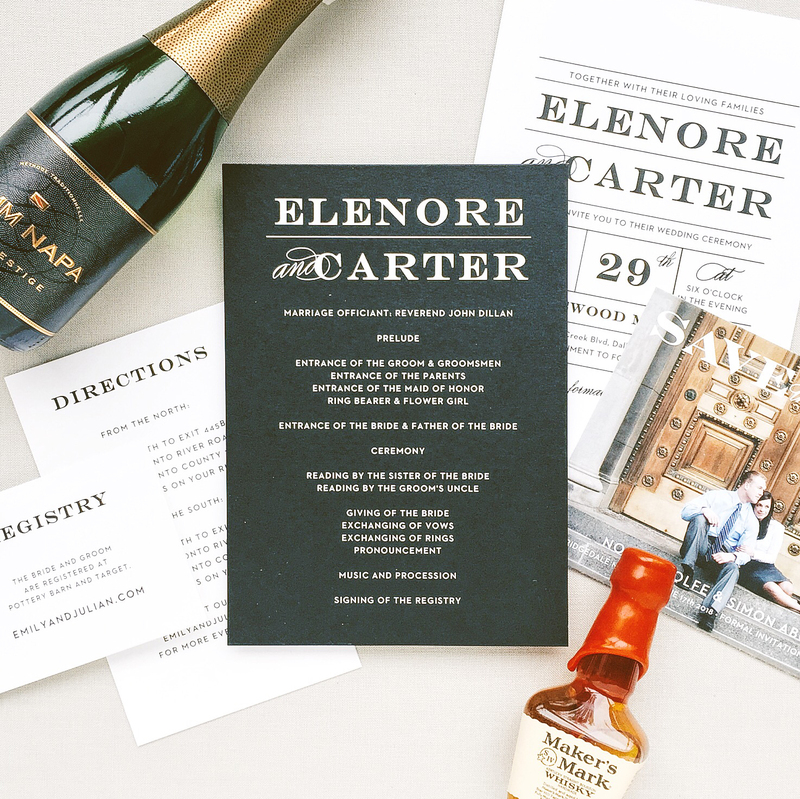 As a rule of thumb, you should show a sample of the wedding invite to your fiancé, family members, and close friends and get their feedback about readability and design. Whether you order your wedding invitations online or work with a local stationer, you should always request to see a printed sample that you can approve before placing your final order. This will help you see how the colors look in reality and how well they blend with the paper. Another thing to consider is the paper quality, thickness, finish, and feel after the text has been printed on it. An added bonus is that you can more carefully proof the text on the sample (compared to if it was on screen) and make sure you haven’t misspelled a word by accident. Pay extra attention to names and dates! There are even websites that give you the option to order a printed sample of your actual invitation so you can see exactly how it will print as well as the paper quality before placing your actual order. Needless to say, your wedding invitation envelope should snugly wrap your wedding invitation without bending it or leaving too much room for it to move inside. Despite its size, though, you should also think about the envelope’s color and extras. Why going for the white option when you can choose a statement envelope color that will make your invitation stand out even before it is opened? You should also consider envelopes with extras like a printed return address and peel and seal options that save both time and efforts.